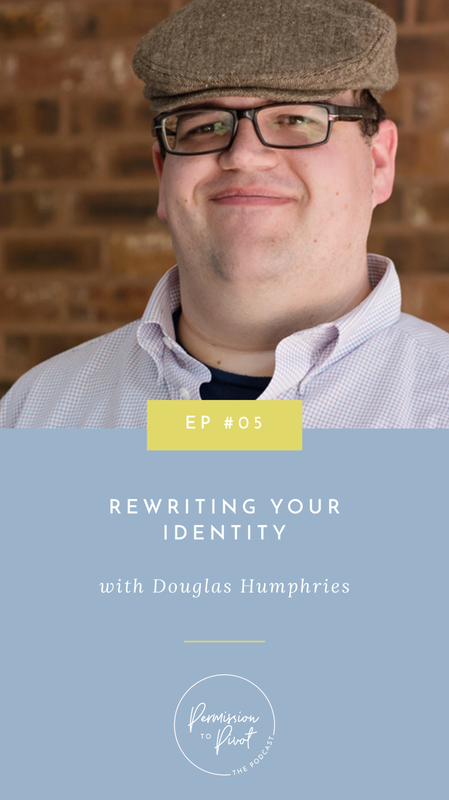 For an episode on rewriting your identity, it felt only natural to bring on a guest whose own identity journey has been openly, courageously and creatively captured through writing and speaking over the last few years. Douglas Humphries, writer, blogger, voice actor, and facilitator of #createlounge, shares his wisdom around how to tackle some of those big life questions that seem to come up in these formative adult years (and beyond), like “Who am I?” “What am I supposed to be doing with my life?” and “How do I want to spend my time?” and shares some of his journey of how his own identity has changed from a “good, responsible kid” to a somewhat rebellious risk-taker and is continually evolving over time. I think one of the biggest things about the journey is accepting that who we are now is fine for now and there’s such freedom in that. We may not know why right now we’re doing the thing we’re doing, but later on you’ll know exactly why. You have to trust that you already are planting the seeds for that future. Douglas Humphries is a writer, blogger, and all-around creative currently living in St. Paul, MN. Douglas's passion is stories, his own and yours, and when he's not working on his latest books, including an upcoming project with Fables & Fauna, he is running #CreateLounge, a community and twitter chat for creatives of every background to come together and learn and encourage one another. Douglas is the author of "Fire In My Bones" a personal memoir/journey through the book of Jeremiah, and anyone who's known him for more than 5 minutes knows that NaNoWriMo is his passion. You can find Douglas online at DouglasHumphries.com and @Douglas_AmongUs on Twitter and Instagram.